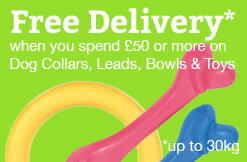 Skinners Duck & Rice is a VAT FREE, working field and trial dog food that's hypoallergenic and suitable for all adult dogs, not just those with digestive disorders and skin complaints. 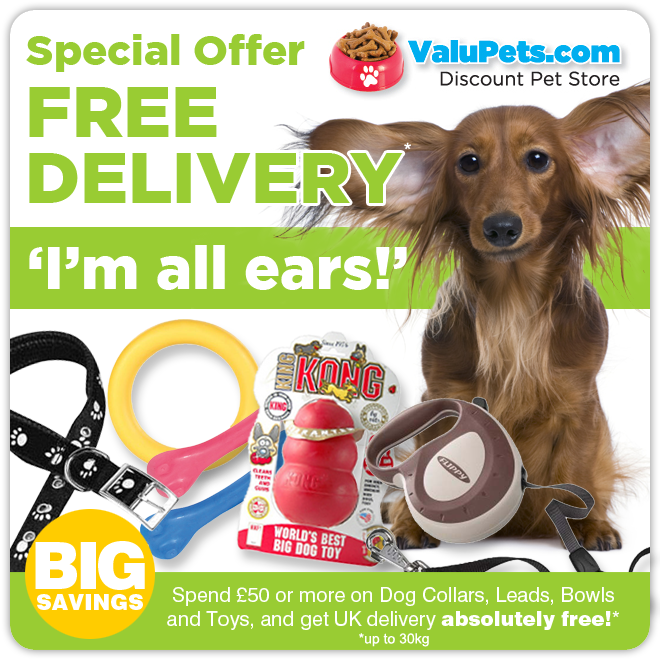 Some dogs can develop sensitivities to beef or chicken ingredients used by many advertised dog food brands and over a sustained period of time, some dogs will unfortunately develop an allergic reaction to the meat protein or additives in the food, but it's usually not instant! Skinners Duck & Rice has been formulated to reduce the likelihood of skin, coat and digestive conditions by excluding those ingredients in dog food that are known to cause sensitivities or allergies. 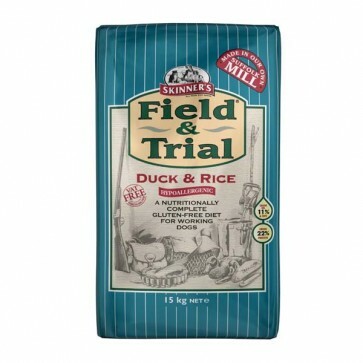 The duck and rice recipe is free from wheat, maize and barley gluten, soya and dairy products! The dog food contains only wholesome duck, rice and naked oats, with essential, vitamins, minerals and carbohydrates needed for long term health, vitality and stamina. The crunchy kibbles of the duck recipe are coated in natural sunflower oil to provide your dog with a valuable source of energy and to help your dog maintain a healthy, glossy coat. 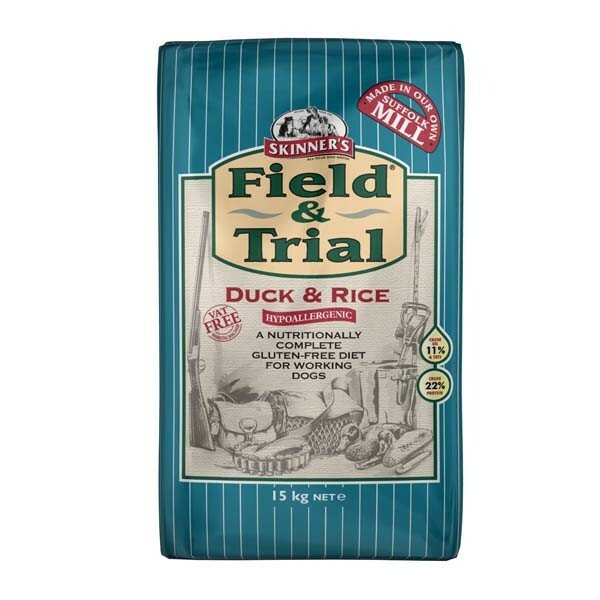 Like all field and trial recipes, the duck and rice variety is free from all artificial colourants, preservatives and flavourings, but also contains added rosemary oil to help maintain a healthy skin, as well as enhanced levels of glucosamine and chondroitin to help protect your dog's joints. 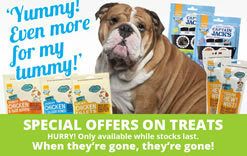 Why not try the other hypoallergenic flavours, for example Salmon & Rice or perhaps the Turkey & Rice recipe that also contains joint aid that have been specially formulated, like the skinners duck and rice variety to exclude ingredients known to trigger food related sensitivities and allergies?